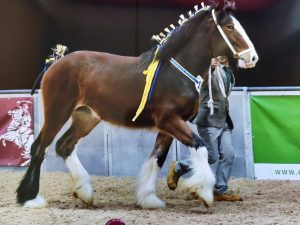 Dam: Bratton Lady Carolina – Prolific Ridden Mare – HOYS, Best ridden shire BRHHS @ Equifest. Approx. 16.2hh, up to date with injections, feet. Has been turned away to grow naturally in Devon. For further details please message directly.